Marly runs for her life. 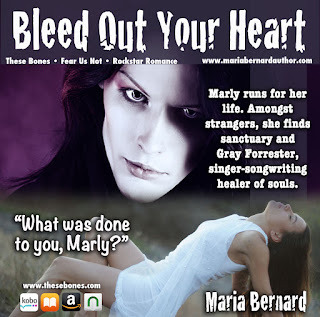 Amongst strangers, she finds sanctuary and Gray Forrester, singer-songwriting healer of souls. Synopsis — When stripped of your soul, bleed out your heart. Marly Michaels has it all, popularity, good looks, a promising future, and the perfect relationship or so it seems. In reality, that perfect relationship is a living nightmare. With a methodical stripping away of her confidence, her volatile ex-fiancé nearly succeeds in destroying her. She has tried to escape numerous times, but in the end, he always finds her. In one last desperate attempt at freedom, Marly turns to her long lost childhood friend Carla for help. She and her eccentric friends welcome Marly into their circle with open arms. 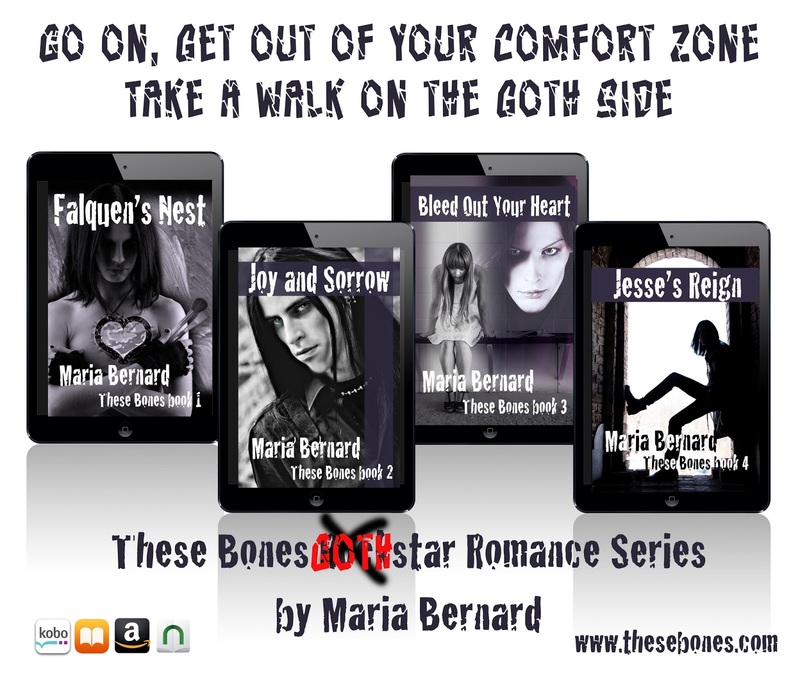 In the company of Goths, a segment of society shrouded in mystery and speculation, Marly finally finds sanctuary and Gray Forrester. Gray is the mesmerizing singer for the local band, These Bones. He is a man of many talents, including the ability to heal a wounded spirit. 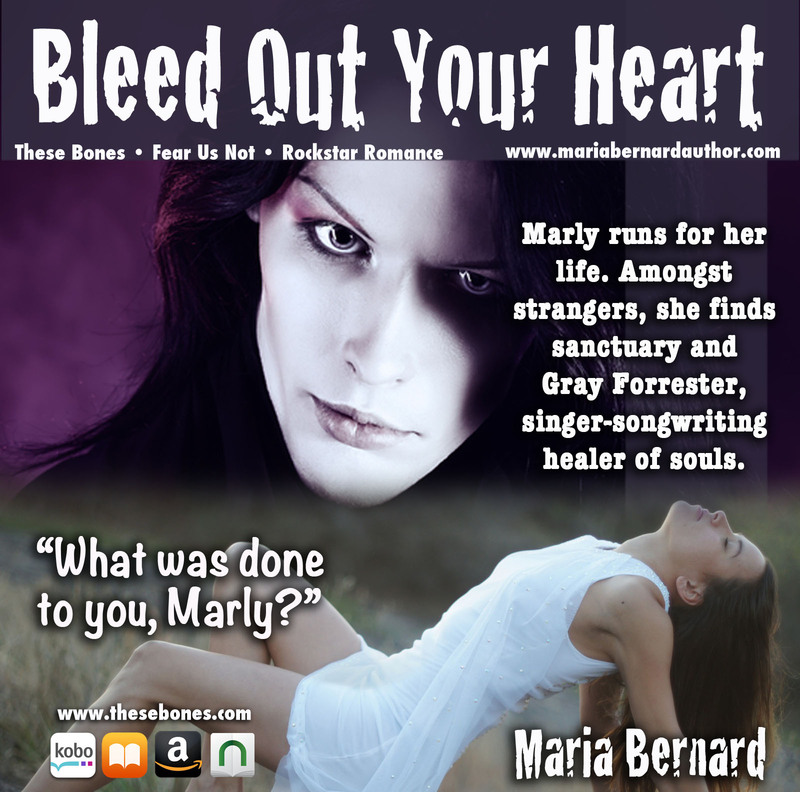 Inexplicably drawn to the sadness in Marly’s eyes, he is compelled to help restore her soul. To do so, he must remain emotionally detached. Not an easy task for the gregarious Goth. 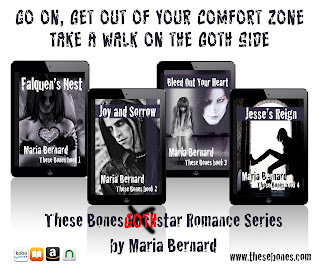 This steamy romantic series follows the adventures of four members of These Bones band. You will meet struggling artist and bass player Falquen Forrester, his fraternal twin the gregarious singer Gray Forrester, the impossibly handsome lead guitar player Darien River, and last but definitely not least the soft-spoken drummer Jesse Rain. Get them now and binge read the entire series! Falquen's Nest - Book One is Free! In this classic tale of opposites attract, we meet Janie Drago and Falquen Forrester. Falquen is a moody Goth bassist, and struggling painter. He lives alone in his downtown art studio above an art supply shop. Janie is a fresh out of college, watercolorist, hoping to dive into Toronto’s art circuit and make a name for herself. What happens when fate brings two polar opposites together? "Sometimes one must leave to find oneself." English Literature is Gwen Mathewson’s passion. She lives vicariously through her favourite Victorian novels. She dreams of travelling to England, the source of her obsession and has the whole trip planned on a detailed itinerary kept close at hand. The trouble is, she suffers from extreme anxiety. Gwen wants to chase her dreams but is trapped by her crushing fear of the unknown. When a stunning man resembling her Victorian literary heroes enters the shop where she works, Gwen feels an instant connection. She can’t keep her heart from racing. He, on the other hand, has eyes only for her itinerary. Crispin Clover is a tortured singer who desperately needs to get away from his clingy bandmates. But he doesn’t have a plan. When he discovers Gwen’s detailed itinerary, he makes her an offer she can't refuse. Little does Crispin realize his soul searching getaway is about to get hijacked.